Billionaires Row, a New York-based premier luxury lifestyle company, has teamed up with producer Charles Mignon to produce a new Champagne. 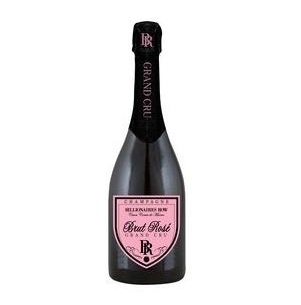 The new creation is called Champagne Billionaires Row “Cuvée Billionaires Row” Brut Rosé Grand Cru. The company has produced only a limited quantity of the Champagne to maintain quality. Billionaires Row Luxury Spirits Division COO William Mullins said that Champagne Billionaires Row is the “perfect addition” to its luxury line of goods and services. “The Billionaires Row brand is noted for and becoming a recognisable force in the luxury industry worldwide,” Mullins said. Vidalco International, a world known distributor of fine luxury wines and spirits, will exclusively distribute the Champagne. “We are proud to welcome and introduce this beautiful new Champagne from one of the world’s finest and most respected Champagne producer Charles Mignon,” said William Benson, Billionaires Row chairman.